The Voters Assistance office is now located in the Rushmore Center Bldg. 2500 within the Airman and Family Readiness Center. This is your one stop shop for all your voting needs. Mr. Jeff Hollinshead is the new Installation Voting Assistance Officer and Ms. Jo Anne Amundson is the Alternate. Both can be reached at 385-5456 for questions or to schedule appointments for assistance. Questions can also be addressed by emailing them to 28fss.ellsworth.voting@us.af.mil . 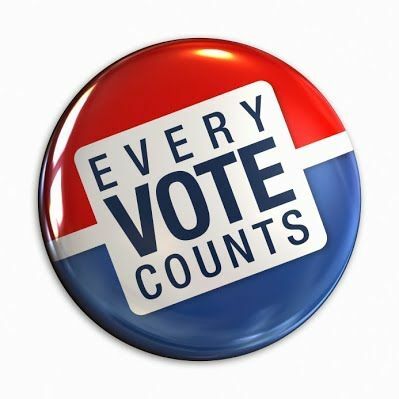 We encourage you to visit and follow the new Ellsworth AFB Voting Assistance website for up-to-date information at https://ellsworthafbvoting.wordpress.com . Most States require you to register to vote to start the absentee voting process. We encourage you use the Federal Post Card Application (FPCA). The FPCA is a form you can use to register to vote and request absentee ballots for the year. We suggest that you send in a new FPCA every year and when you move. Many States allow you to submit your FPCA electronically and all States allow for at least one form of electronic transmission of your blank ballot. Mail delivery times will vary based on where you are and customs requirements. Mail your materials early enough to account for the mail delivery time. Using electronic options can help reduce the ballot transit time for your election materials. It only takes a few quick steps to make sure your vote is counted no matter where you are in the world. The FPCA can be completed by using the FPCA online assistant, filling out the PDF or picking up a hard copy version from your Voting Assistance Officer located in the Ellsworth Airman and Family Readiness Center. The online assistant will guide you through the process of completing the form. Once you complete the form, you will be able to download and print the PDF package to sign and send to your election office. This PDF package even includes a pre-addressed and postage-paid label so you don’t have to worry about finding stamps! This entry was posted in Voter Assistance Office and tagged VAO, Voting, Voting Assistance by ellsworthafrc. Bookmark the permalink.